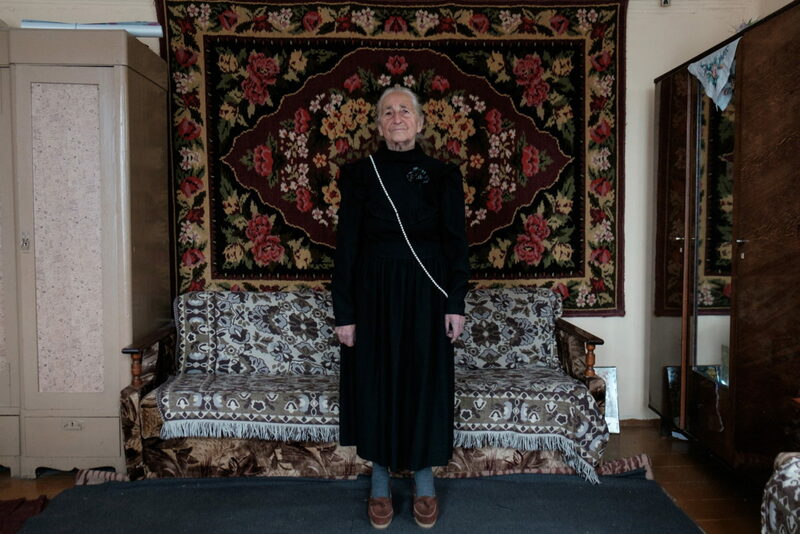 Vera Zenko chased after the Nazi wagon carrying away her mother who was pregnant with her younger sister. The soldiers took pity and threw the mother off the carriage. Today, Vera is 91 years old. She calls her current life her “final seasons” and tells her biography to photographer Tatiana Tkacheva through the contents of her dress closet. 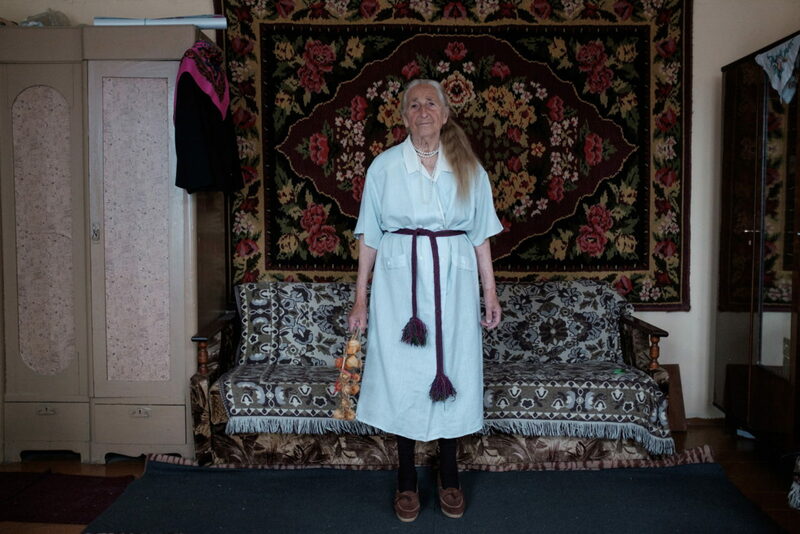 I first saw Vera in Volozhin, Belarus, when she was walking to the pharmacy. Vera was wearing enormous sunglasses, a checkered dress and raspberry-colored socks and shoes. It was love at first sight. 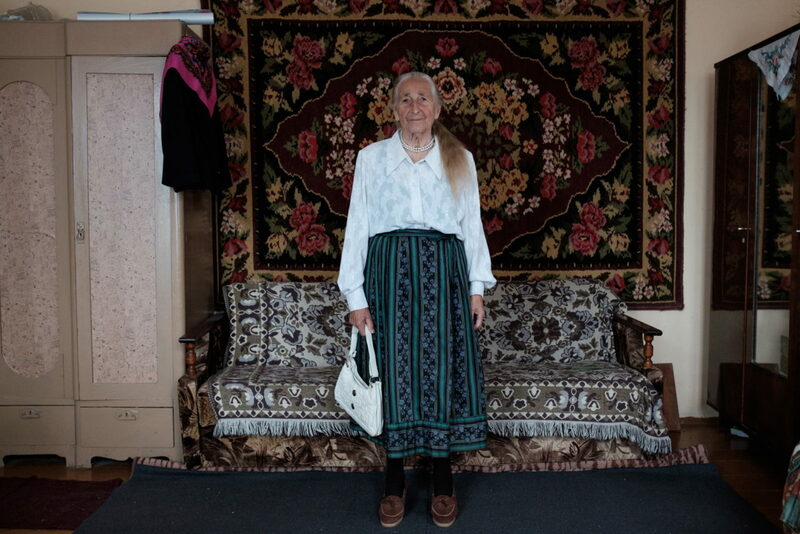 I walked up to her to make her acquaintance and, five minutes later, we were sitting in her home and she was showing me her outfits and narrating their history. Later, I visited and stayed with Vera in Volozhin several more times. 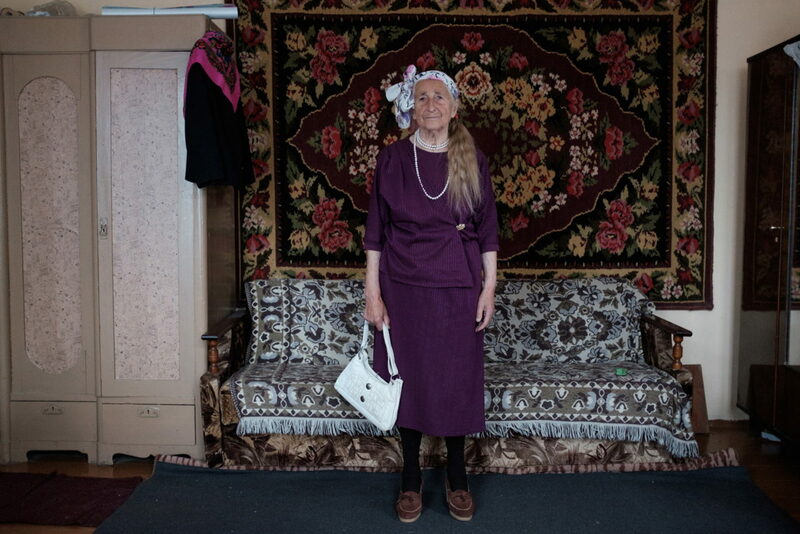 She has lived her whole life here, during which time, the multicultural Polish city of Volozhin came under Soviet rule and later became Belorusian. 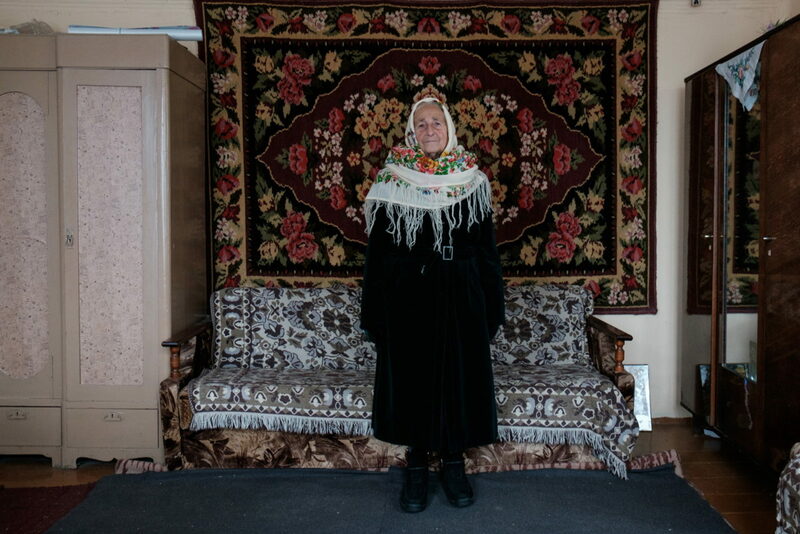 Vera’s four brothers and sisters were scattered all over Ukraine and Belarus. Vasil and Olga are, by now, deceased, survived by siblings Nina and the youngest, Galina. Their parents came from a peasant background: the mother tilled the fields, while the father, who was literate, worked for the local, as they say today, “self-governing authorities”. Vera stayed in her native city. Here, she got married, taking the last name Perepecha, gave birth to three children, worked and eventually raised her grandchildren. This past January 1st, Vera turned 91 years old. She is not afraid of old age. Once, Vera told me that she is living out her final seasons, when every spring can become the last. She loves to dress up. The closet contains her entire life: each dress comes with its own story, its own memory. Vera went to buy a gold-accented fabric for her daughter’s prom dress. She was going to have the dress sewn in the House of Fashion in Minsk. But the atelier in Volozhin refused to sell the textile without a dress order. So, she had them make this lilac dress, just so that they would sell her the prom dress fabric. Vera’s outfit with a hat. 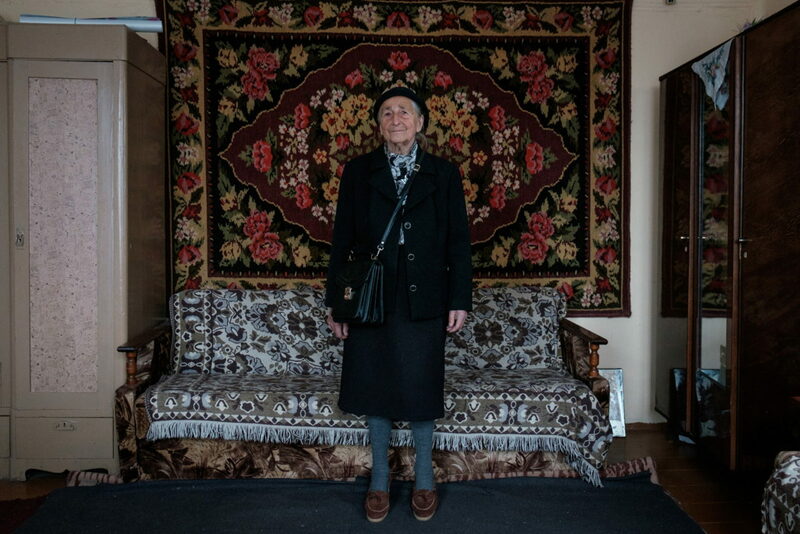 She purchased the hat when she worked at the passport office in Volozhin. The hat is Vera’s favorite accessory. 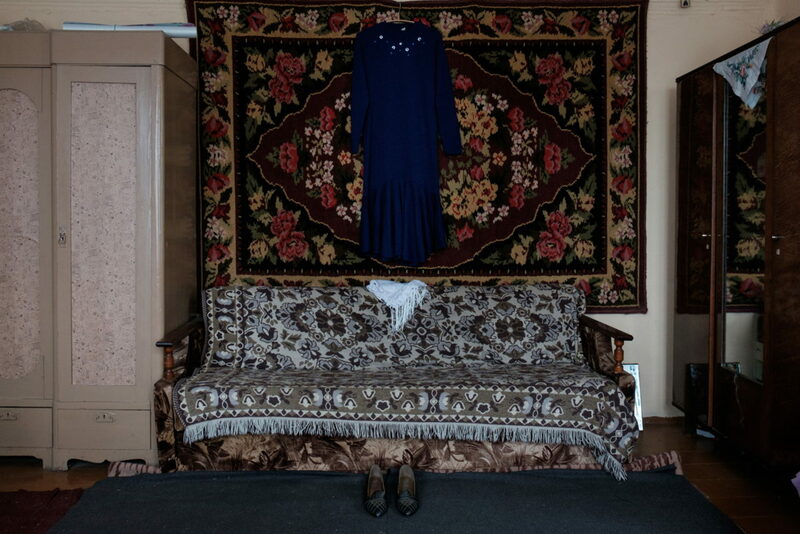 On the left: Vera bought this dress for her daughter, as to not let money go to waste after the collapse of the USSR. The daughter got married. The dress stayed with Vera. On the right: Vera in her daughter’s wedding dress. Vera wearing the belt she keeps in memory of her father. On the left: Vera wearing a skirt she turned into a dress with straps. The shirt was sewn by her daughter to wear for school military training. On the right: A suit Vera bought in a second-hand store to wear at her granddaughter’s wedding. Vera, wearing a dress handed down from a girlfriend. Purple is Vera’s favorite color. Vera is wearing a transparent white blouse and a patterned skirt. Such white blouses were popular in Vera’s youth. Vera, in a dress created by her daughter for her seamstress exam. The necklace comes from France, brought by Vera’s sister. On the left: Vera, in a dress from her daughter-in-law. Vera was already retired when her son got married. The bride’s parents were against the union. Vera let the newlywed couple live with her and helped raise their firstborn. On the right: Vera’s daughter-in-law wore this dress when she first started dating her son. 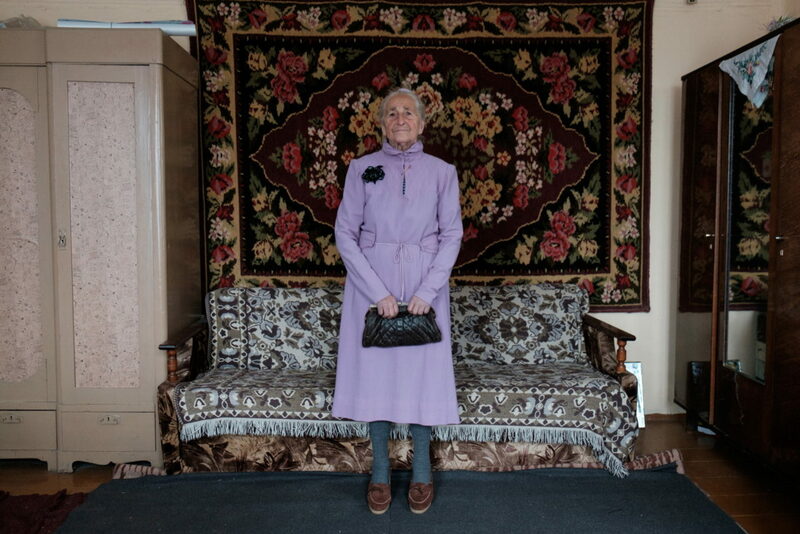 Vera in the plush coat she got through special connections in a store in Volozhin region. She is wearing a floral pattern scarf called “shalinovka”. 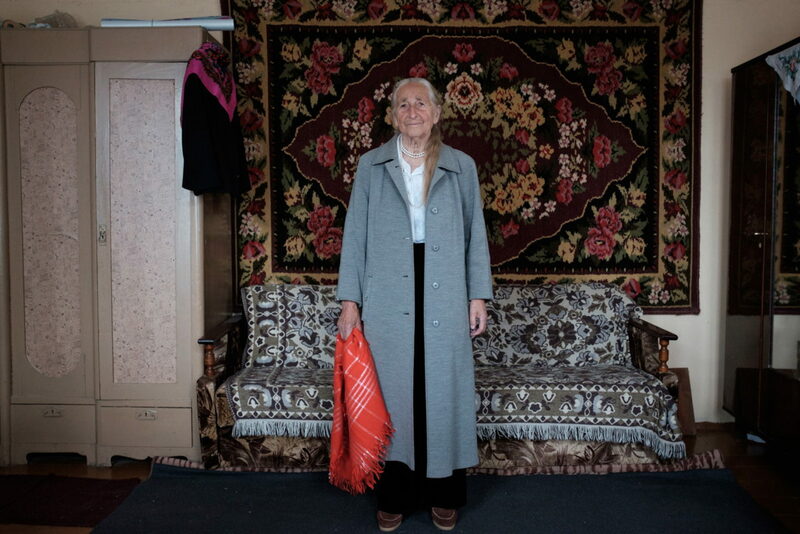 Vera was wearing this scarf when she first met her husband Sergey. Vera is wearing slacks she bought when she was hospitalizedl with cancer. Vera does not like slacks. In everyday life, she prefers skirts and dresses. But in the cancer ward where Vera was hospitalized, everyone wore trousers. On the left: Vera is wearing her daughter’s prom dress. To obtain this fabric so that it could be turned into a dress at the House of Fashion in Minsk, Vera had to commission another dress for herself in the Volozhin atelier (see lilac dress in first photo.) On the right: skirt and blouse, purchased by Vera at a department store 10-15 years ago. A gray coat worn by Vera’s daughter when she was a college freshman. Dress and shoes Vera set aside for her funeral. I found this to be a very compelling human interest story and wanted to bring it to English-reading audiences. I had to take a few liberties and adjust the translation for easier readability / flow in English (mostly in the photo captions) — but I tried to stay true to the original voices of the author of the article and especially Vera, with her particular minimalist style of expression. The original story in Russian was published on March 16, 2018, by Tatiana Tkacheva, on the website www.takiedela.ru that serves as the information portal for the charitable project “Nuzhna Pomosch” (“Help Needed”). I am not affiliated with them, though I do come across their posts sometimes and it appears that they do good work. 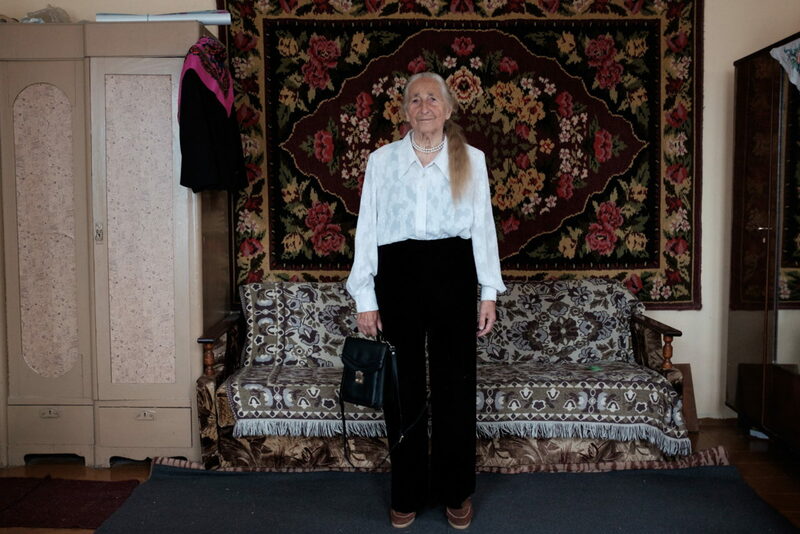 They certainly deliver an admirable social service with releasing stories such as this one, from all over the vast expanse of Russia and former USSR, giving publicity to people and places overlooked or forgotten by the world at large.